I've been eating stuffed peppers for as long as I can remember. My mom used to make them when we were younger. I am pretty sure I used to take them for lunch sometimes. They are just such a good Sunday meal prep option, that are also good for lunch leftovers. I've stuffed them with pretty much everything at this point....they've been vegetarian (with Morningstar Crumbles), they've had rice or quinoa, and then of course other ground meat...turkey, chicken, buffalo. You can really stuff them with almost anything. I used to have to get creative in how I positioned the peppers to bake. Then I got a fantastic pan for our wedding, literally designed for peppers. It's awesome. Below is a recipe I've been using recently, it's clean, simple and tasty. Go ahead and preheat the oven to 375 F. While that is preheating, let's get to chopping. In a large skillet heat the coconut oil over medium-high heat. Add the onions and saute until they are translucent and slightly brown. 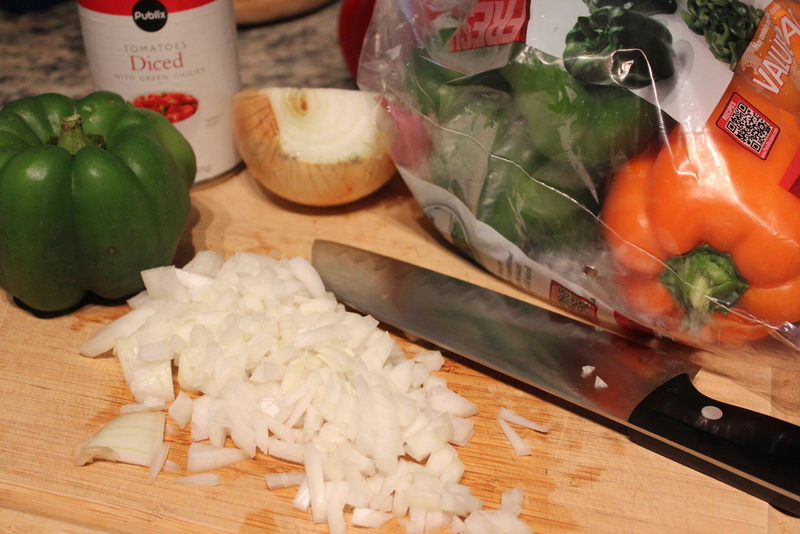 You can lightly season the onions with salt and pepper. I also like to add a little more pepper and saute those. 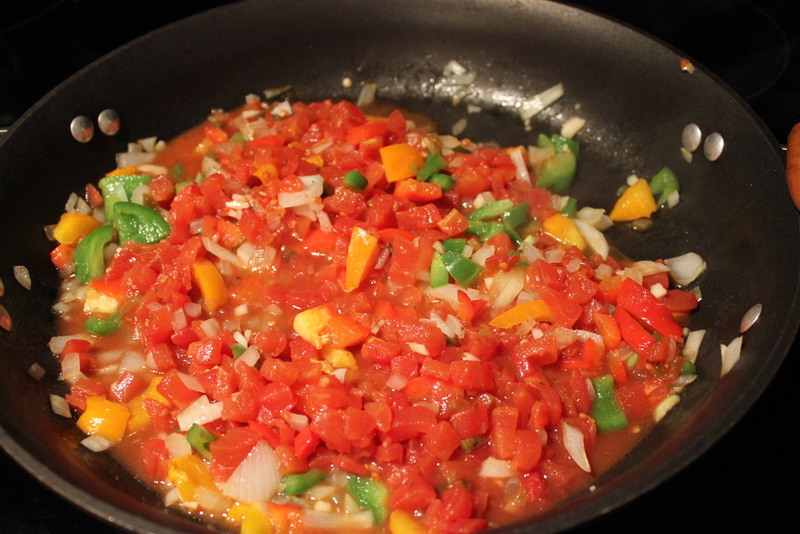 Reduce the heat to medium, add the garlic and tomatoes, and cook for about two minutes. Now we add the meat and cook until fully done. I usually add a little heat here with some red pepper. Fill the peppers and pop them into the oven for about 20 minutes. This will leave the peppers soft, but still a little crunchy.